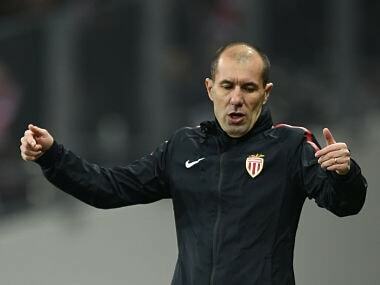 Paris: Frustrated Monaco coach Leonardo Jardim demanded VAR (video assistant referee) be introduced in French Ligue 1 after a controversial penalty saw his team squander two points in a 3-3 draw at struggling Toulouse on Saturday. Monaco could find themselves 14 points behind runaway leaders Paris Saint-Germain by the end of the weekend and Jardim insisted the referee did his team no favours by awarding a penalty in the 78th minute when his side were leading 3-1. Polish defender Kamil Glik was punished for bringing down Yaya Sanogo in the area in the 78th minute, allowing Andy Delort to score from the spot. Former Arsenal striker Sanogo then grabbed a late equaliser as Toulouse shared the points. "We were in control but then something happened that nobody can control," said Jardim. "The players are very angry and that's why I am going to say again that I am very much in favour of VAR. "With VAR, Monaco would have four more points from our last few matches. In Marseille, there was an offside by two metres and today a penalty. "VAR would give the tournament more credibility and help referees make the right decisions." The point dragged relegation-threatened Toulouse two points clear of the bottom three while reigning champions Monaco remain 11 points adrift of PSG. Marseille visit PSG on Sunday when Rudi Garcia's men will be hoping to end a 15-match winless streak against their arch-rivals to leapfrog Monaco into second. Jardim's principality side took an eighth-minute lead at the Stadium Municipal on Saturday as Rony Lopes grabbed his sixth league goal of the season. Keita Balde, who has hit some excellent form in recent weeks, caused havoc in the Toulouse defence after chasing down a long ball, before squaring for the onrushing Lopes to score. 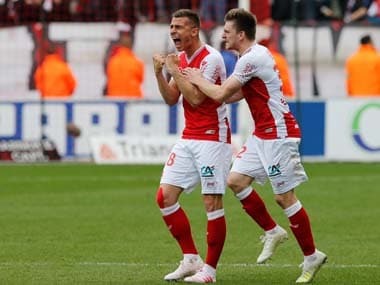 But the hosts didn't take long to find an equaliser, as midfielder Ibrahim Sangare sidefooted a shot through the grasp of Monaco goalkeeper Danijel Subasic to notch his first-ever Ligue 1 goal midway through the second period. Monaco were dealt another blow before half-time, as Senegalese youngster Balde hobbled off injured to be replaced by Stevan Jovetic. The Montenegrin international should have finished off a wonderful, sweeping move early in the second half, but after his effort bounced back off the post, Portuguese winger Lopes was on hand to lash into the roof of the net to complete a brace. Jovetic made no mistake when he was given another opportunity in the 72nd minute, as he combined with Rachid Ghezzal before stabbing in his third goal in two games after his initial chip was saved by Alban Lafont. But former Wigan and Caen striker Delort gave Toulouse hope of a comeback with his 78th-minute penalty, and Sanogo had the final say. 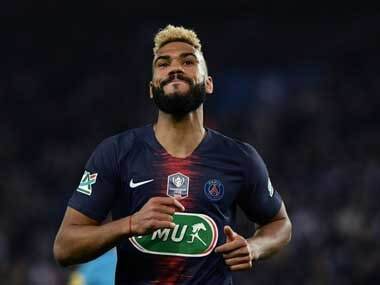 The much-maligned 25-year-old, who only scored one goal in 20 Arsenal appearances before joining Toulouse last year, fired in an 87th-minute leveller with his second league goal for the club.